At the end of your turn, you may draw a card. "This is the song that doesn't end! Yes it goes on and on my friends! 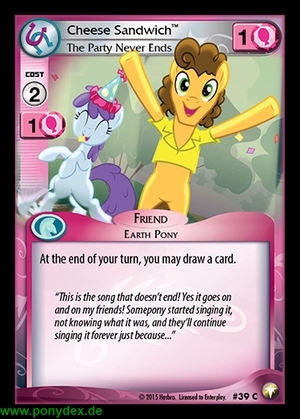 Somepony started singing it, not knowing what it was, and they'll continue singing it forever just because..."